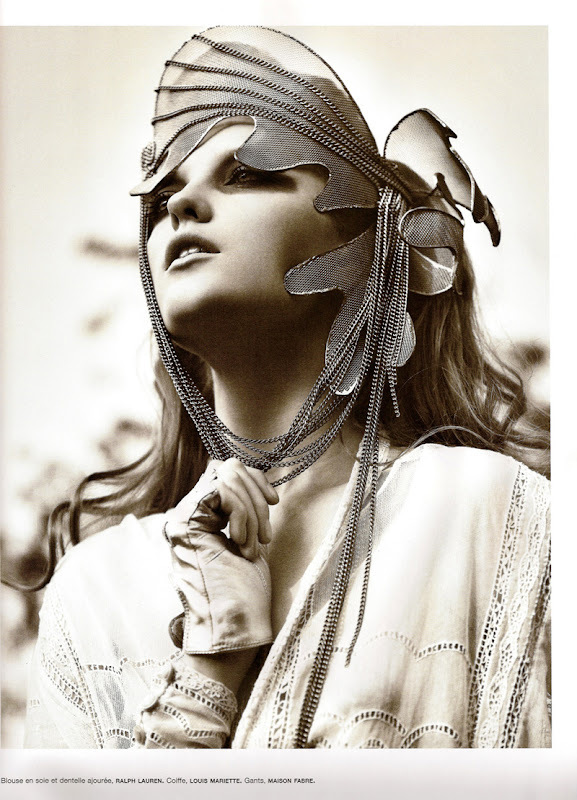 It's funny how this editorial is meant to channel the spirit of the forest, embody the forest princess. I would like to see it more like a punk princess editorial, many of the clothes show the good attitude. Not to mention studded jackets, leggings which remind me of similar Rodarte numbers and huge, 80s hair. The mix of different clothing labels is spectacularly, impeccably done. I mean Rad Hourani+YSL+Givenchy Haute Couture? Wow; as seen in the second shot.